On this week’s Energy Gang podcast: How the quest for more clean energy fueled a 50-year struggle over racism, land rights and billions of dollars. 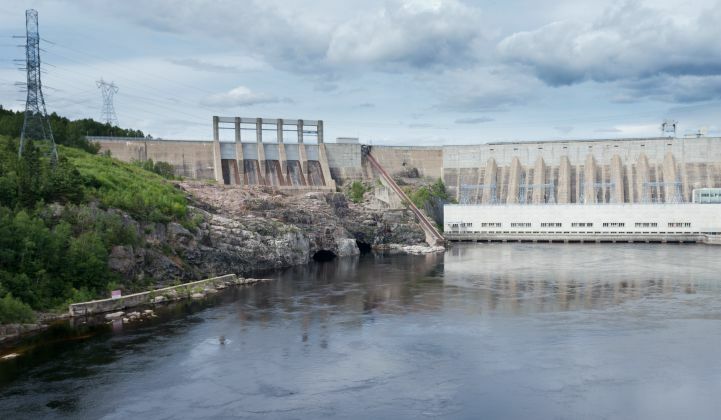 America wants more hydropower from Quebec. Where does that power actually come from? Southern New England is hungry for more clean energy, and states like Connecticut and Massachusetts are turning to Hydro-Quebec for its excess hydropower. There's one sticking point: They need a new transmission line to get all that power from Northern Quebec. And citizens in the states that could host new transmission projects -- New Hampshire, Vermont and Maine -- are resisting construction plans. A lot of attention has focused on controversial transmission projects like Northern Pass. But what about the source of the electrons feeding the line? In this week's podcast, we talk with Sam Evans-Brown, a journalist who's been exploring the history of Canadian hydro. It's a decades-long story filled with conflict, controversy, racism, and billions of dollars at stake. Sam is host of the Outside/In podcast. He and his colleague Hannah McCarthy just published a four-part audio series, called Powerline, about the hydropower working its way down to the Northeastern U.S. We'll talk about the stories they uncovered. Next, Cape Wind is dead. We’ll have a eulogy. And finally, we'll discuss that tax bill again. It’s messier than anyone thought possible. This podcast is sponsored by Mission Solar Energy, a solar module manufacturer based in San Antonio, Texas. You can find out more about Mission’s American-made, high-power modules at missionsolar.com. Are you coming to GTM's Storage Summit on December 12-13? Podcast listeners get 20 percent off their registration with the promo code PODCASTS.